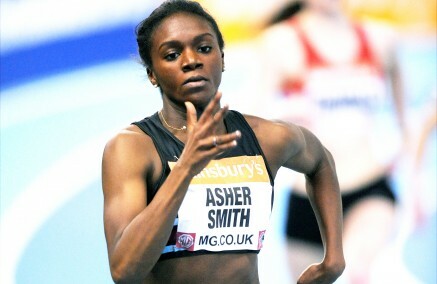 12th May 2014 – European Junior Champion Dina Asher-Smith (GBR) had to not only contend with her competitors over the weekend but also a mighty headwind which made running fast times virtually impossible. Competing in the Premier Division of the UK Womens League for her club side (Blackheath and Bromley Harriers AC) Dina completed the sprint double taking the 200m in 23.84 (-2.1) having earlier won the 100m in 11.80 (no wind reading available). It was a similar story for Mark Lewis-Francis (GBR) as he competed in the Mens Premier Division and took the 100m in 10.68 seconds (-1.1). Another double winner was Niall Brooks (GBR) who convincingly won the 800m and 1500m. Running sprints and middles distances in the wind and rain is tough, but spare a thought for Chris Thompson (GBR) who endured 25 laps of it at the British 10,000m trials for the European Championships. However, despite the race being only 4 weeks after his marathon debut in London Chris achieved his goal of qualification. Already holding the required time from last year he just needed to finish in the top two and this he duly did taking 2nd place in a time of 28:49.80. Overseas conditions were no better for Schillonie Calvert (JAM) at the International Meeting of Guadeloupe as she took 3rd in the 100m in 11.44 (-1.8). At the Cayman Invitational Andy Turner (GBR) finished 4th in the 110m hurdles. Finally, Jemma Simpson (GBR) and Diane Cummins (CAN) both competed at the Oregon Twilight meeting and took 2nd and 4th places respectively in the 800m.